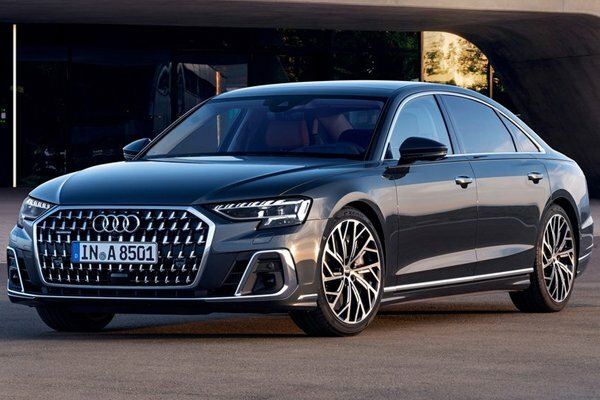 The new fourth generation Audi A8 features a handful of impressive technology, a luxurious interior, and a charismatic sheet metal. What's not to like? Authorised Distributor Audi cars are Audi A3 Cabriolet, Audi A3 Sedan, Audi A3 Sportback, Audi A4 Avant, Audi A4 Sedan, Audi A5 Cabriolet, Audi A5 Coupe, Audi A5 Sportback, Audi A6, Audi A7 Sportback, Audi Q2, Audi Q5, Audi Q7, Audi Q8, Audi R8, Audi RS4 Avant, Audi RS5 Coupe, Audi S3 Sedan, Audi S3 Sportback, Audi S4 Avant, Audi S4 Sedan, Audi S5 Cabriolet, Audi S5 Coupe, Audi S5 Sportback, Audi SQ5. Parallel Imported Audi cars are Audi A5 Cabriolet, Audi A8, Audi A8 Diesel, Audi Q3, Audi Q5, Audi Q7, Audi Q8 Diesel, Audi S5 Cabriolet.